House Republicans gained the support of 27 Democrats and passed The Suspending the Individual Mandate Penalty Law Equals Simple (SIMPLE) Fairness Act (H.R. 4118), a bill that would delay for one year the Affordable Care Act (ACA) individual mandate penalty tax for those failing to buy health insurance before the deadline this month. As reported recently in the Washington Post, while destined to fail in the Democratic-controlled Senate, this Bill nonetheless underscores mounting pressure upon the Administration and Democrats in an election year, as the troubled healthcare law struggles to get traction in its implementation and with voters. Republicans want mileage in November from increasing public confusion and disenchantment about the ACA. They seize upon much publicized trouble spots of ACA implementation, such as the disastrous rollout of the website, cancelled policies, patients unable to stay with the doctor they prefer, and higher insurance premiums. Insurers and proponents of the ACA view the individual mandate as critical to the financial mechanics of the health insurance reform intended by the ACA, namely expansion of insurance coverage to most Americans irrespective of health conditions and without lifetime or annual caps on benefits. With the new law’s imposition upon insurers of a requirement that they insure all Americans — even the most high-cost patients — it is important that the young and healthy, whether they need insurance or not, pay insurance premiums to help fund the insurers’ cost of paying for the health care of unhealthy Americans. Hence the law’s controversial individual mandate that everyone obtain coverage and pay insurance premiums or, alternatively, pay a penalty tax based on household income. The penalty is to begin this year, phased in at 1 percent of taxable income, then 2 percent in 2015, and 2.5 percent in 2016. With little to no chance on passing in the Senate and a White House veto waiting if needed, Republicans are now attempting to tie the individual mandate delay to legislation sorely needed to fix another flawed government health program: the Medicare Sustainable Growth Rate (SGR), as reported in the National Journal. The flawed formula for SGR has tied increases and decreases in Medicare payments to the level of growth in the U.S. Gross Domestic Product. Inherent defects in this formula were realized after the U.S. economy stalled and subsequently went into recession back in 2002. Since then, the government has provided a yearly patch-fix to prevent drastic reductions in payments to doctors. The March 31st deadline for a permanent fix to the SGR is fast approaching and, if it passes with no resolution, physicians will (again) face a potential 20% reduction in Medicare reimbursements. 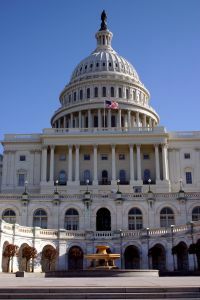 The continued wrangling in Congress over details, changes and delays in the ACA perpetuates confusion among Americans about the ACA’s requirements, even as the deadline for signing up is less than three weeks away. Exactly how many Americans sign up for health insurance under the ACA remains to be seen, but, in years to come, physicians and patients will be greatly impacted by how the chips fall. With multiple delays already in place for various pieces of the ACA and a vote still pending on a fix to the SGR for Medicare payments to doctors, physician practices should continue to watch the developing landscape of ACA implementation and the potential impact on medical practices.